Problem: After a minor flood in the bathroom of the apartment above Crystal’s, water stains appeared on her ceiling. These stains appeared directly above where she and her newborn baby slept. Worried, she read online that flooding and mold go hand-in-hand. Despite Crystal expressing her concerns, her landlord refused to believe a mold problem could exist. It couldn’t possibly, he thought, when he took care of the flood right away. But Crystal and her young family’s health were at stake. Crystal’s baby had developed a rash and started to cough more and more (both being common symptoms of mold exposure). As a young couple, Crystal and her partner had a tough time affording a mold inspection but for the health of her family she bit the bullet. Solution: Out of her own pocket, Crystal hired Mold Busters to inspect the apartment and test the indoor air quality. Laboratory results revealed that her bedroom was contaminated with mold. 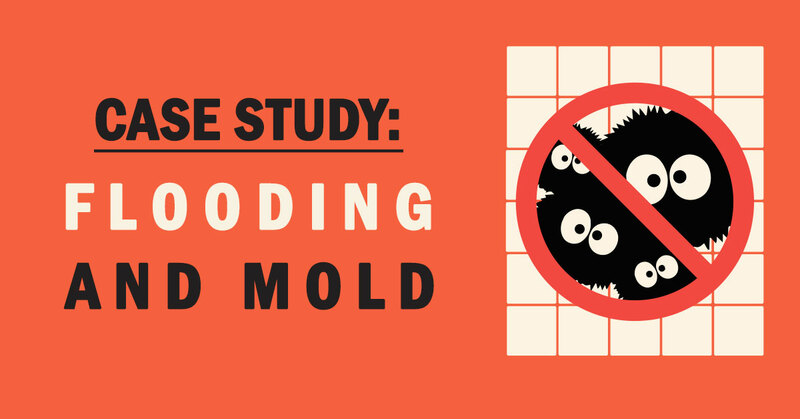 Flooding and mold often go hand-in-hand. On a scale of low, elevated, or high risk, Mold Busters rated Crystal’s bedroom as high risk. In addition, using a thermal imaging camera to visually assess the area, we let Crystal know about a moisture problem above the ceiling. 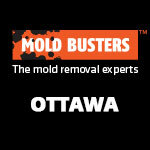 Crystal’s neighours had hired on Mold Busters before and had recommended us to her. All the data from the inspection and an analysis of the property was completed by Mold Busters and we compiled all the messy details into a report. Our client went on to submit the report to the Landlord and Tenant Board. How We Fixed It: Crystal was beyond happy with our findings. Not only was Mold Busters helping protect the health of her newborn baby, but resolving this mystery gave her more time with her family. She no longer had to worry. 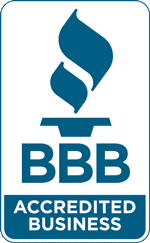 Mold Busters played an important role in ensuring that the landlord followed through with his responsibilities in keeping a healthy environment for her family – and that meant removing every trace of mold from the apartment. Based on our report and professional recommendations, we were hired to remediate the extensive mold problem in Crystal’s room that the flooding in the apartment above had triggered. We properly decontaminated the area, determined the extent of the problem and provided a solution for the leaking pipe. 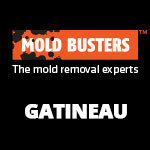 Our client gave us a budget to work with and Mold Busters accomplished the work on time and on budget. 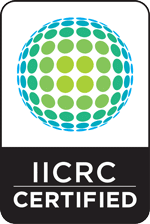 Post-remediation air quality tests revealed that the room was safe for occupancy. The baby’s coughing and rash disappeared, and our client is happy to now be living in a healthy, safe environment. With test results coming back clean, and happy customers we were able to wrap up and leave Crystal with a spotless apartment. 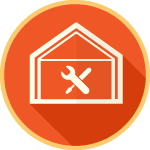 Contaminated materials were disposed of completely following NAMP guidelines to ensure no other room would be contaminated. 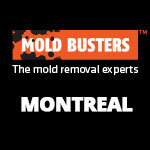 Mold Busters was able to complete a deep cleaning of the space without leaving behind harmful chemicals. We understood that this was a space meant for the whole family to enjoy. 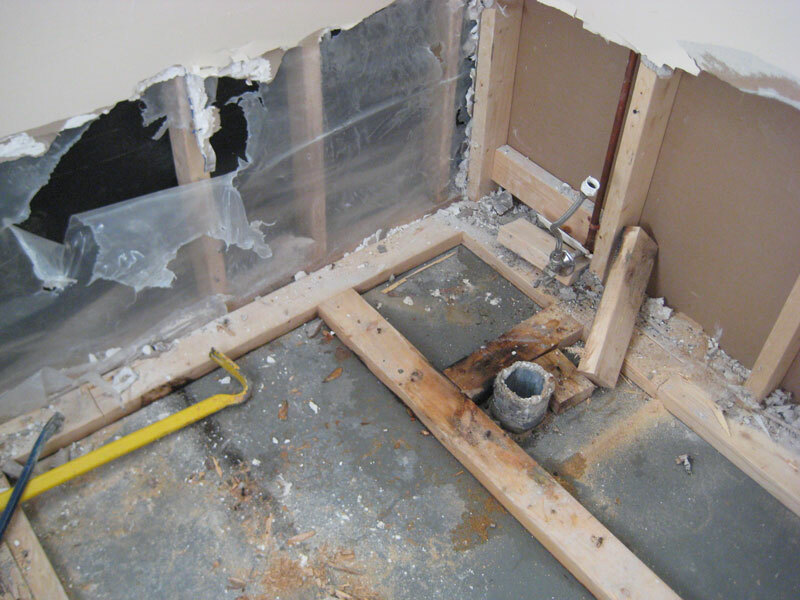 Because there’s a strong connection between flooding and mold, water damage inspection is crucial. 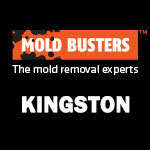 Call the experts at Mold Busters today.